Producer, Audio Engineer and JONY STUDIOS owner, JONY has been featured in Spoke Online (A Canadian based journalism site). The article takes a deep look into his life in the recording/audio space, from where his creative journey started, to taking the leap into opening up his own recording studio and everything in-between. Guitar is the gateway instrument to musical freedom. Once you know how to play guitar, you can express yourself, start learning how to write songs, entertain a few friends or millions of people around the world! The opportunities are endless. Now if you're reading this it means you have at-least some interest in learning guitar, and thats great! I'm excited for you, but I know how overwhelming it can be to simply START! So I have created this simple guide to get you on the right track and playing. 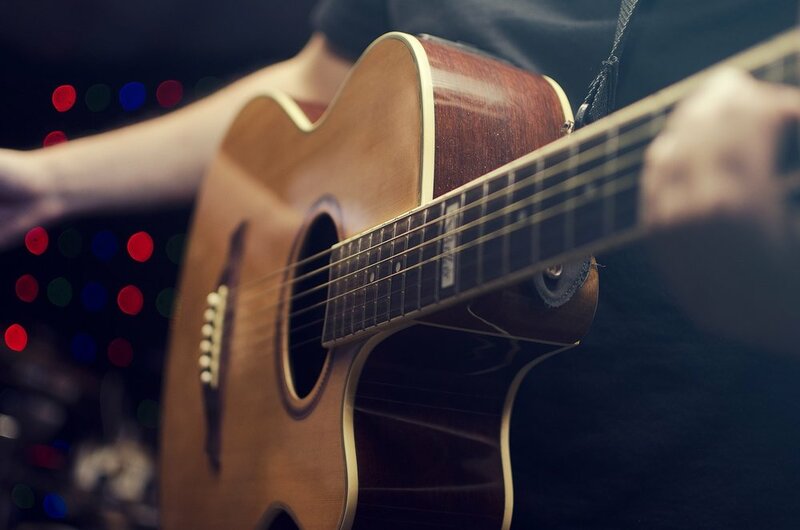 Before buying a guitar, decide on either Acoustic or Electric guitar. I recommend to start with Acoustic Guitar, because it is harder to play. I know that sounds weird but let me explain. If you learn acoustic properly your fingers will become so strong that moving to electric will be a lot easier, once you know how to play. Also for acoustic you don't have to buy an amplifier so it will cost less, and it's more versatile because you can play it anywhere. Whether its serenading your significant other outside their window, or at a campfire with friends... It just works. In order to play guitar, you need a guitar... Obviously aha. Sometimes if you're lucky enough you can find one lying around the house or hidden in the basement somewhere, but if you don't... Buy one. Now the first place I would go is kijiji, a garage sale or anywhere you can get a used guitar. You'd be surprised how many people are selling great used guitars for cheap, so you can't go wrong. If you want a new guitar go to your local music store like Long & McQuade or Sherwood, just talk to one of the sales people and explain your situation and budget and they'll be really helpful in giving you the right option. A tuner is a little device that helps keep your guitar in-tune. It's really important to have one because you want to make sure you are hitting the right notes, and if your guitar is out of tune you won't be able to know. Which tuner should you buy? There are a lot of different tuners at different price points but you just need one that has a mic (for acoustic) and a direct input (for electric). I recommend the Korg CA-40 it has both and cost around 20 dollars on Amazon here. Now if you're just playing acoustic guitar you can download this awesome tuner app for your smartphone called GuitarTuna. Download it on Google Play here or on the App Store Here. It works great and it's really convenient, its like having a tuner with you wherever you go! Did I mention its free, oh yeah. Okay you have a guitar in one hand and a tuner in the other. Tune up your guitar and find a place to play! I recommend to practice somewhere you are most of the time, like your bedroom. Make it as easy as possible for you to play, get a guitar stand and place your guitar right next to a chair or your bed. Doing this will help you practice more with less effort. In order to start making progress in your guitar playing journey you need someone to teach you. At the beginning you can start learning using various youtube guitar teachers like Justin Sandercoe or Marty Schwartz they are both great, but eventually it is definitely worth it to go to an in person guitar teacher based on your learning style. In person lessons help you get the technique down, and furthers advancement much faster. Your local music store usually offers lessons as well but every teacher is different. Find the right fit for you. If you're interested in learning from an Award Winning Singer/Songwriter from Kitchener, click here for more info. In the end the most important part of learning guitar is practicing, without practice you won't advance, like anything else in this world. Try to learn songs and styles you truly love because this will help you stay motivated, and focused to continue progressing. If you have any questions related to this guide, send me an email at jonathan@jonystudios.com and I'll be happy to answer.